Looking for a spectacular Mothers Day Menu to celebrate your Mom this year? Sisters Know Best has several ideas for each meal of the day. We know Moms are special all year long, but too often we forget to show them we appreciate all they do for us. Mother’s Day is the perfect opportunity to make her feel special all day long. 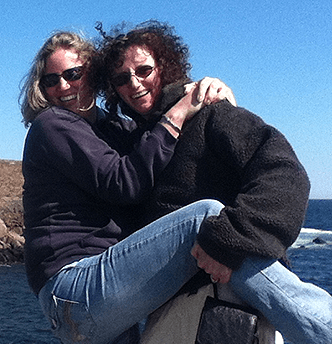 If your Mom is like ours and spends all year putting your needs first and skipping things she’d like to do because you need her, a full day of pampering and great food just might be in order. Since we love to cook, a full Mother’s Day menu is how we show Mom we care. Breakfast in bed is a must on Mother’s Day, but don’t skimp out with cereal or scrambled eggs and toast – unless those are truly her favorite things to eat for breakfast. Get up early and take the time to make a truly special breakfast in bed. Here’s a couple of our favorite ideas. This delicious recipe is loaded with veggies. We like to grab what we can straight from the garden, but farmer’s market or grocery store veggies are fine too. This is way beyond the basic scrambled eggs, but it’s not much tougher to make. Plus the colors look so pretty on a plate that mom will truly be impressed. Add a side of her favorite toast, OJ, and coffee for a complete, hearty breakfast. 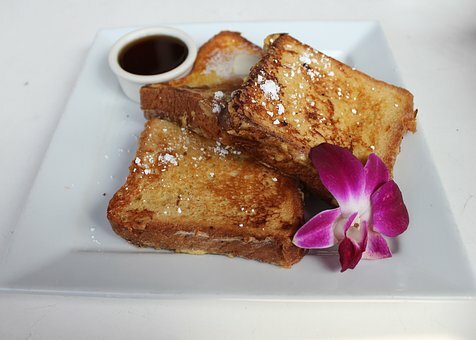 French toast was always a favorite growing up. You could make the basic version with maple syrup or cinnamon and sugar topping, but that’s just not fancy enough on Mother’s Day. Instead, check out this fancy French toast recipe. It looks like something you’d find at a pricey restaurant, and it’s a lot simpler to make than it looks. Don’t forget to include Mom’s favorite morning beverages on the breakfast tray. This is great for Moms who are watching what they eat or avoiding egg and/or gluten. The oatmeal sampler gives you a chance to show off your breakfast making skills and gives Mom lots of choices – everything from traditional options like blueberries to more unique ideas like peanut butter and jelly or coffee cake. They’ll look great on the breakfast tray alongside Mom’s coffee or tea. Some kids take their Mom out for lunch on Mother’s Day. If that’s what you’re doing, great, but if you’re staying in, don’t forget to pause and make Mom an extra special lunch – she never forgets to make yours! Mom’s always telling you to eat your veggies, so make sure she gets some, too. The beet and goat cheese salad includes enough additional ingredients to be a main course if served in larger portions or served as a healthy side. 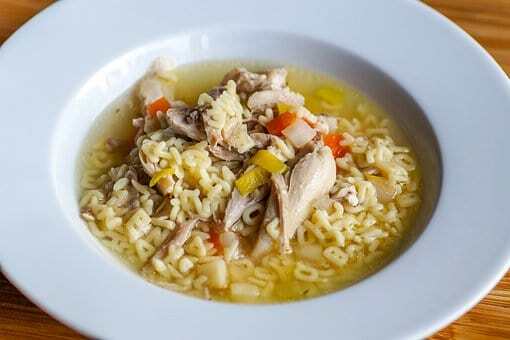 Mom’s chicken soup isn’t just for when you’re sick. It’s great any time and a wonderful way to show Mom how much you love her. Your chicken soup may be a bit different than hers, but she’ll love that you took the time to make it specifically for her. Sure, you could make her a classic peanut butter and jelly, but that’s not exactly what we have in mind. Instead, opt for something fancier like this Cuban sandwich that takes a little more time and care to prepare. Maybe you’re taking Mom out to her favorite restaurant for dinner. We know she’ll love it if you are, but if you’re not, you can still prepare a special dinner for Mom at home. In our house, seafood wasn’t just for Fridays or meatless Mondays. It was a family favorite. If your mom loves salmon, she’ll love this delicious glazed salmon dish. It’s easy to make too, so don’t panic. Many people don’t think of chicken as fancy or exciting, but with Chicken Kiev, it can be quite amazing. It may not be the simplest chicken dinner you’ve ever made, but it’s not incredibly complicated either. 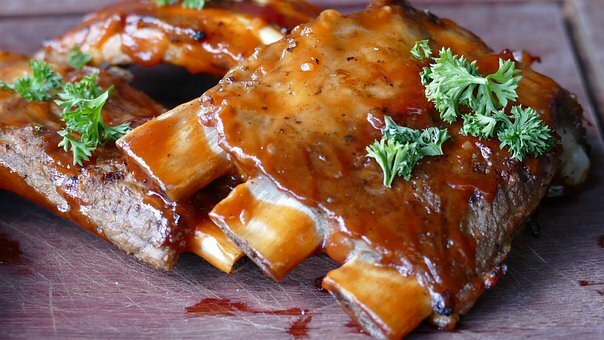 BBQ ribs are always a favorite. Class them up to make a perfect meal for Mom. Just be sure you have lots of napkins or wet wipes nearby! If your Mom doesn’t eat meat, give one of these recipes a try for Mother’s Day dinner. 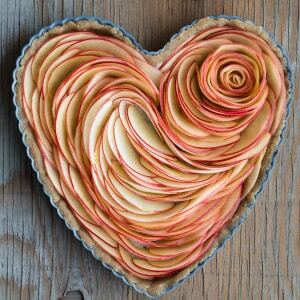 Sisters Know Best recommends ending your Mother’s Day menu with this jaw-dropping, scrumptious apple tart. You should totally bake it in the shaped heart pan for a stunning effect. However, if after all the work you’ve put in to create a day of delicious food for Mom, you may want to go out for dessert or have bakery cake and ice cream at home. Whatever you choose, always end Mother’s Day with a meaningful hug!